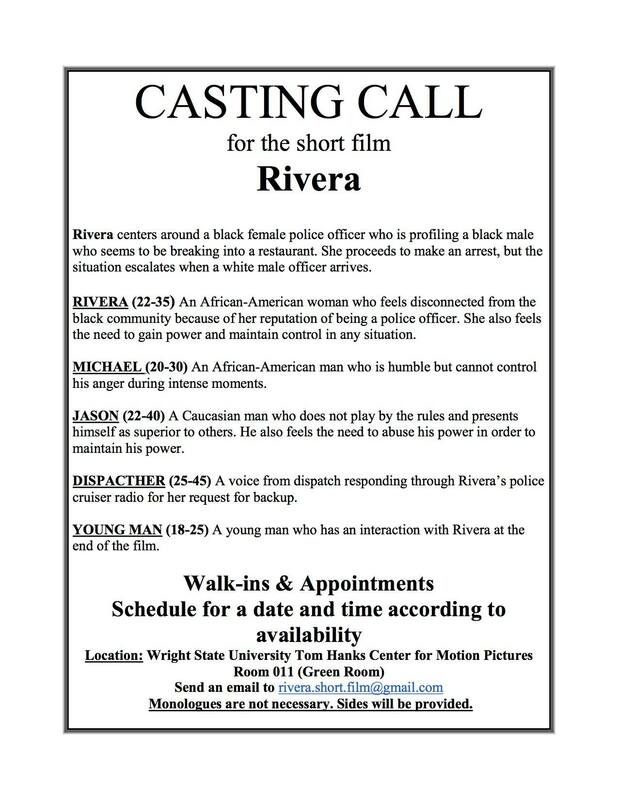 RIVERA centers around a black female police officer who is profiling a black male who seems to be breaking into a restaurant. She proceeds to make an arrest, but the situation escalates when a white male officer arrives. Filming to take place June 1st, 2nd & 3rd. Wright State University Tom Hanks Center for Motion Pictures. 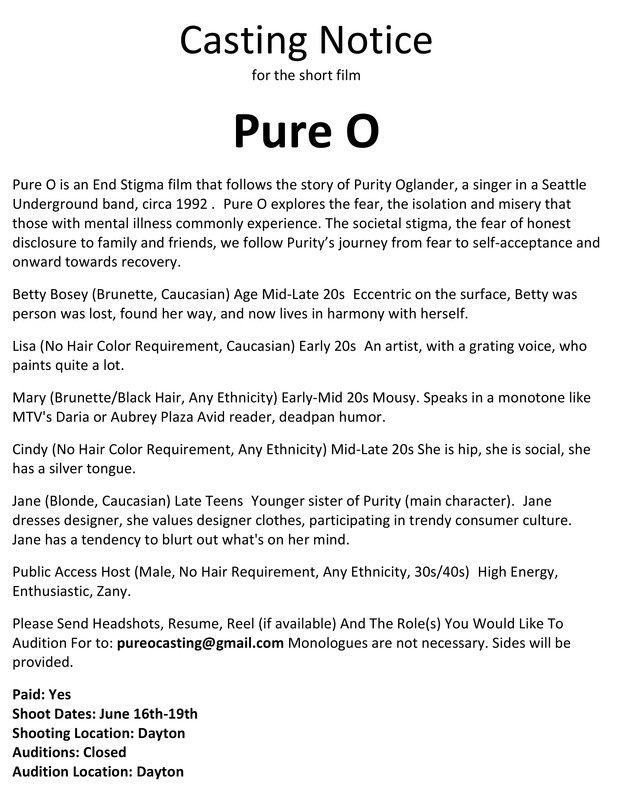 Pure O is an End Stigma film that follows the story of Purity Oglander, a singer in a Seattle Underground band, circa 1992 . Pure O explores the fear, the isolation and misery that those with mental illness commonly experience. The societal stigma, the fear of honest disclosure to family and friends, we follow Purity’s journey from fear to self-acceptance and onward towards recovery.